Fiat 124 Spiders are very stylish and another Pininfarina triumph. The bodies were made by Pininfarina and the running gear and chassis by Fiat. It was a very good partnership for both companies that went from 1966 to 1985 and produced one of the world's longest running sports car production runs. Very cool, beautiful cars. Yep, nice stylish car and a pleasure to drive. Almost impossible to keep the rust out of earlier examples, especially in Sydney !! Ditto another favourite of mine - Alfa GTV. 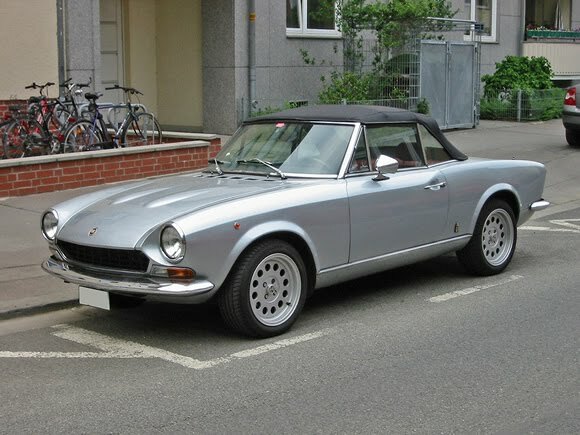 I have a 1980 Fiat Spider 2000 just Love It !